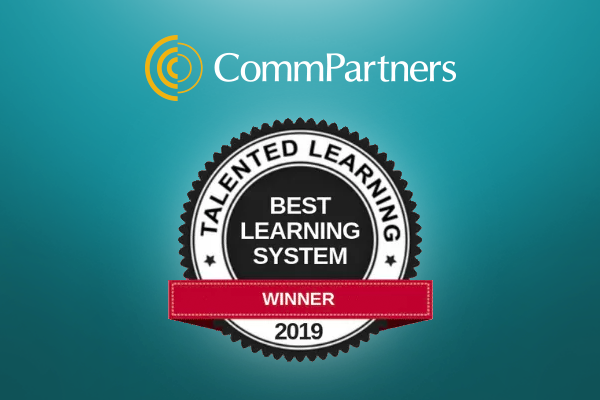 CommPartners is excited to announce we have received the Best Continuing Education System Award from Talented Learning, an independent research and consulting firm devoted to helping organizations of all sizes choose and use LMS solutions and related technologies for their unique business needs. The selection of CommPartners as an award recipient included an extensive consultation and a detailed review of the platform. . CommPartners is honored to have been selected from over 750 LMS providers. CEO & Lead Analyst of Talented Learning, John Leh, shared, “With more than 25 years of experience in serving associations and non-profit organizations, CommPartners has grown and evolved along with continuing education needs and technologies. The CommPartners solution is unique because it offers more than just a strong, community-oriented, mobile-responsive, modern LMS. If you are interested in learning more about Elevate LMS or CommPartners’ online learning and event solutions please contact us at info@commpartners.com. Last week, I was speaking with a colleague who had just returned from an all-inclusive vacation in Mexico. During our conversation, I asked what some of the highlights from her trip were. The response I received sparked a thought about the true value that comes with genuine customer service. Now, you would think that the first thing she would tell us about is the delicious food or beautiful beaches, but to our surprise, there was something that she thought stood out above those luxurious details. What stood out to her the most was every time she and her husband asked for something, the staff responded with “It’s our pleasure.” This made them feel valued for choosing to invest their time and money into this resort. It’s our pleasure, conveys a feeling of appreciation. At CommPartners, we quite often discuss how grateful we are to be involved in the association community, surrounded by an amazing group of people, who we value and feel so fortunate to work with and support. We know education is a core component for most associations and what we do matters a great deal. A learning management system is a significant investment, both financially and strategically, that can take months, even years, to make a decision on. Once the decision is made, the client and LMS provider come together to create a unified partnership and shared mindset, determined to fulfill the client’s overall vision. The onboarding process that follows is a critical time where expectations are confirmed and a foundation for working together is set. This is where “It’s Our Pleasure” comes into play. Like any first impression, the first moments of the onboarding process are a sign of what to expect down the road. The first thing you notice is the tone of the communication. How professional and courteous is the project manager? Is this person responsive? Is he or she clear about what to expect, and with follow-up communications. Is this person detail oriented? These are all critical elements? Just as important, is if this person has a positive attitude and is enthusiastic about your project? Do you, as the client, feel appreciated for the decision you have made and the faith you’re imparting on your selected provider? Are you truly in this together? At CommPartners, we have gone to great lengths to support and empower our onboarding staff who in turn are giving and generous with their time and spirit. They recognize how critical it is that you are welcomed properly to our organization and that we are simply not just saying thank you for your business. Actually, it’s our pleasure to serve you. As 2018 winds down, all of us at CommPartners want to express our gratitude to our clients, partners and extended community for your collaboration and friendship over the past year. This was our 25th year in business. Where has the time gone? It’s been fun to look back and see how technology and online learning has changed and how our company and all of us individually have evolved. We’re proud of our history and our evolution as an organization. We feel fortunate to work with so many wonderful clients over many years. These relationships make our jobs so enjoyable and rewarding. We are extremely blessed! I truly think CommPartners is the best company I’ve had the privilege to work with in my career. I value each of you and am proud of the work we’ve accomplished together – especially the innovations! What Barbara said reinforced our sense that what’s most important is the relationship between our team and our client’s staff and the commitment to stick together to seize opportunities and meet whatever challenges arise. So as we celebrate 2018, we take pride in our clients’ success and all you have accomplished through your education initiatives. We celebrated five years since Elevate LMS was developed. It takes this period of time for a SaaS solution to fulfill the promise you envision when it’s first created. This year we experienced over 100% growth in new client placements. We are thrilled to welcome so many new organizations into the CP Family. We had our first user conference in 2018 that occurred in the spring in Washington DC. The conference included keynote and breakout sessions, trainings, one on one consultation and exhibits. Thank you to our presenters, partners and attendees for making this event a success. We established our Advisory Board to receive feedback on new ideas and development and provide clients an active voice as we move forward. We created a new administrative portal in Elevate that makes creating, managing and tracking education programs simple, fast and convenient. Our team was determined to support our clients with the most intuitive and user friendly admin available. EventCenter our proprietary webcast software was redeveloped with a new design, attendance checks, interactive features, high quality VOIP and enhanced multimedia. Our Higher Logic Partnership continued to evolve allowing our mutual clients to bring together community and learning in a unified presence. We are now building the next generation of our integration to support further engagement and bring together content from thought leaders and peer sharing of ideas. We established a partnership with BadgeCert to seamlessly provide and assign digital badges from learning activities in Elevate. We feel this will be an important to benefit to our clients as they incorporate digital credentials into their education offerings. The National Credentialing Institute was unveiled by our friends at Limitless Association Resources. CommPartners will be hosting this new site which is created to provide associations with assessment-based, professional development based on industry best practice for current and emerging industry professionals. We created our own community called CommPartners Connect. It supports the opportunity to collaborate around important topics in online learning and events. We welcomed five new staff members to the CP Team. CommPartners’ first client 25 years was the National Association of Home Builders. This year NAHB selected CommPartners and our Elevate platform for their LMS. We’re grateful to reestablish our partnership with NAHB and all of our clients who continued to depend on us to support their online learning and events. May each of you be blessed with good health and happiness in the New Year. The 2018 National Association of Social Workers (NASW) Virtual Forum, Opioid Crisis: No Community is Immune, was live streamed from the NASW national office in Washington, DC, on Wednesday, November 14, and Thursday, November 15, 2018. Now, before we dive deeper into details about the event itself, did you know that 85% of opioids are used by US citizens? According to the National Institute on Drug Abuse, every day nearly 200 people in the United States die from overdosing on opioids. The addiction to opioids has become a serious national public health crisis that affects people of all walks of life and is a very real and relevant topic impacting the social work community. For our clients at NASW, it was critical to reach and engage with their members to discuss how social workers are an integral part of the collaborative multidisciplinary approach in working to respond to the current opioid epidemic. So you might be thinking, how? How can the largest membership organization of professional social workers, with over 120,000 members nationwide, reach and engage with their community from remote locations? Well, here is where the wonderful world of live streaming and virtual forums came into play for NASW. 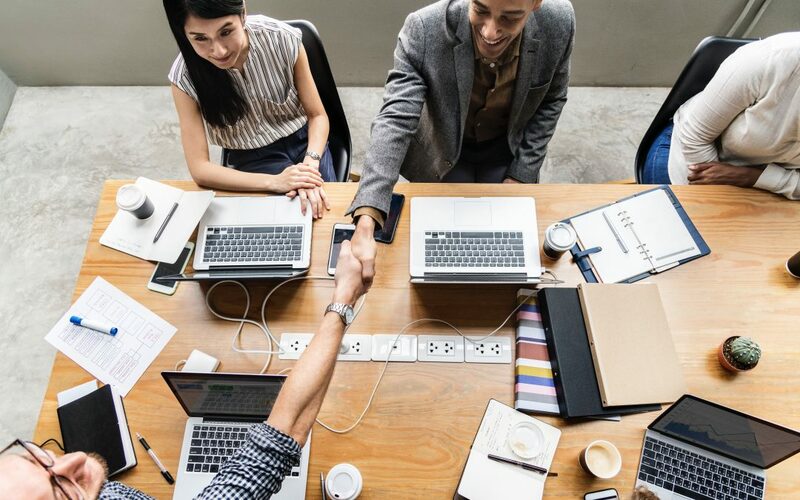 We had the opportunity to speak with two key players from the association, Richard Loomis, Conference & Event Planning Manager, and Rafaele Vitelli, Director of Professional and Workplace Development, each weighing in on their virtual conference experience and the relationship that has evolved between NASW and CommPartners. To start off the conversation, we wanted to get some background information on why the association chose to take the virtual route and how this type of event fit strategically within their organization. “As an association that is committed to positioning as the premiere source for social work and related health care profession, NASW saw the live streaming of virtual forums and conferences as a key component in providing our community with high quality content while also allowing the association itself to extend its reach and footprint,” said Loomis. They also spoke on the fact that not only does live streaming allow the association to extend its reach, but it shows the members that they are taking innovative approaches to provide both flexibility and value to their membership. Audiences can tune in from their phone, work, or even their own home office. This provides a great advantage for the members because they are able to save costs on travel and hotel, but still receive the same high quality content as a site based conference. The virtual forum itself consisted of 4 plenary sessions and 8 breakout sessions where the audience had the opportunity to engage and ask questions through a live chat. In preparation for the event, NASW handled the content side and CommPartners handled the operation and technical side. This was the fourth event that NASW and CommPartners have collaborated on and the relationship continues to grow. Loomis shared his thoughts on the partnership and how CommPartners contributes to the success of the programs, “The partnership with CommPartners has been phenomenal and in place for a long time. We have worked with the team on multiple events and the company does not fail to deliver. Over the years, we have formed friendships with the colleagues at CommPartners and when you have that relationship and trust in each other it contributes to a successful program.” said Loomis. To conclude the conversation we touched on a few highlights from the forum, one being the remarks from the President and CEO of Addiction and Policy forum which provided outstanding context to what was being addressed, said Loomis. Overall, both Loomis and Vitelli agreed that putting together a virtual event takes time and effort to ensure success. The association received very positive feedback from the attendees with many requests to continue hosting virtual forums. Loomis said that their members can certainly be expecting two more virtual forums in 2019. CommPartners helps organizations grow their event attendance and revenue and create highly interactive webcast solutions. We’ve produced thousands of webcasts over the past eight years, from small single camera programs to multiple camera, multiple location productions. What separates CommPartners from other providers is we professionally manage every aspect of the event; we do all of the heavy lifting for you. Our team of experienced event planners manage every detail and our experienced multimedia technicians handle all of the technical details. Our webcast platform offers dual encoding, redundant back-up streams, mobile friendly, and offers attendees active engagement opportunities to help them be an active participant. 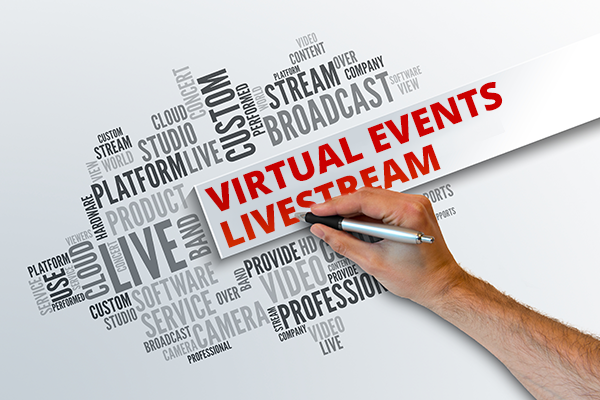 Click here to find out more about CommPartners live stream services. It’s hard to believe that the TV show, Cheers, had its last year on air in 1993, which is actually the year CommPartners was founded. 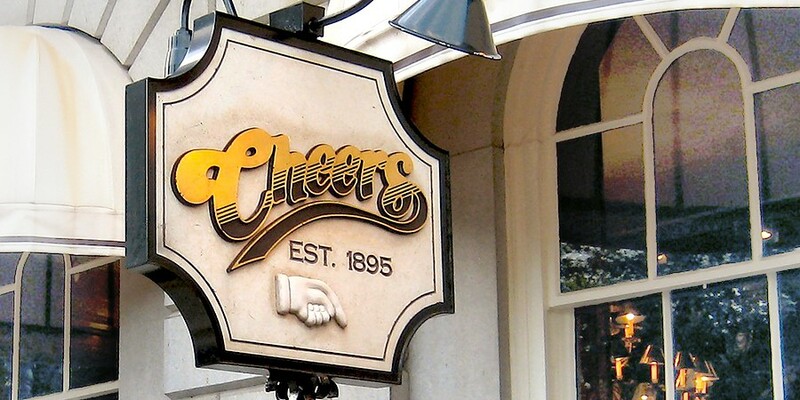 People remember that Cheers, the name of the bar in the show, was a welcoming place because everyone knew your name when you walked in. People felt they belonged. They were recognized and appreciated. So what does Cheers have to do with an LMS? It’s rather simple. When we invest our time and energy when accessing an organization’s LMS, we want to be recognized and provided relevant opportunities to our interests and education needs. Associations, as well as other types of organizations, know quite a bit about their learners. Just like people that walk into their friendly neighborhood tavern, it’s important to offer a welcoming environment that becomes the go-to place for our stakeholder’s online education needs. Elevate Relevancy Engine: When learners first log into Elevate, they are able to select their interests and “likes.” On future visits, Elevate recognizes the learner and presents programs of interest to them. AMS / Community Integrations: We think of integrations as functional processes to connect two or more platforms. With Elevate, integrations provide additional value. It allows organizations to decide which content should be seen by which stakeholder. If it’s not relevant, why show it and clutter the experience? Pricing by learner type can also be automatically established. Roles: In addition to member type, Elevate can further delineate who a learner is based on their role within the organization or other designations, such as a practice group. Roles also determine pricing and access. Private Branding: Private branding can be unique for groups of learners from organizations. Seeing the unique design reinforces the relationship between you and your client. Automatic Triggers: Like frequent flyer miles, automatic triggers assign credits based on rules that are established, such as a member renewing their membership. All of these benefits provide a way of saying – I know who you are and based on your role or interests, we are providing you learning engagement opportunities that are just for you. In other words, this a place where you feel welcomed and have a relevant, individualized experience. It’s the place where we know your name. If you would like more information Elevate LMS, give us a call at (800) 274-9390 or fill out our online contact form to get in touch with someone.